Princess Ubolratana Rajakanya Sirivadhana Barnavadi, 67, announced Friday she would be the prime ministerial candidate for a party loyal to ousted ex-premier Thaksin Shinawatra, in a March 24 election. But her break with royal tradition looks to be short-lived after her younger brother, King Maha Vajiralongkorn, quickly signaled he opposed it, which is likely to lead to her disqualification. (by Nicholas Sakelaris, UPI) — For the first time in the 86-year history of Thailand’s constitutional monarchy, a member of the nation’s royal family has run for prime minister. 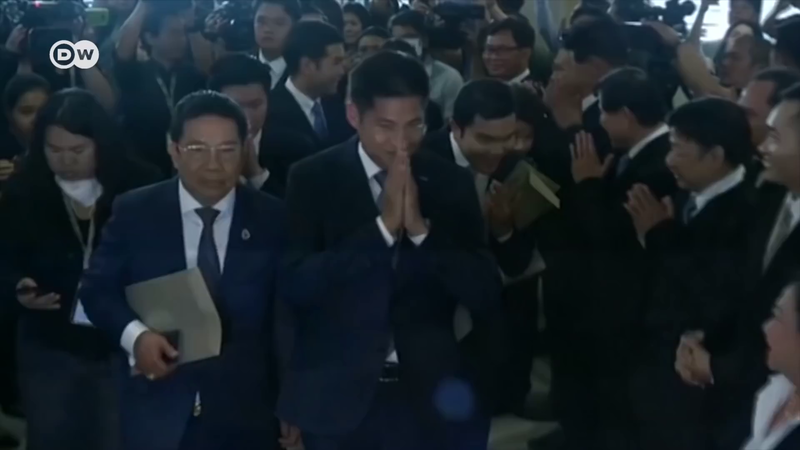 Ubolratana Mahidol, the oldest child of the late King Bhumibol, (who reigned from 1946 until his death in 2016) was nominated by the Thai Raksa Chart Party, which is aligned with the country’s exiled former leader, Thaksin Shinawatra. Ubolratana, 67, completed her undergraduate and graduate degrees from the the Massachusetts Institute of Technology and the University of California, Los Angeles, respectively. Thailand’s royal family is seen as semi-divine, but Ubolratana resigned her royal title of princess in 1972 [when she married an American, a fellow student at the Massachusetts Institute of Technology (MIT), Peter Jensen. She lived in the United States for more than 26 years before they divorced in 1998. She returned permanently to Thailand in 2001, performing royal duties but never regaining her full royal titles. She is referred to as “Tunkramom Ying,” which means “Daughter to the Queen Regent,” and is treated by officials as a member of the royal family]. The election is set for March 24. Friday was the last day for hopefuls to declare their candidacy. Thaksin [exiled former leader, Thaksin Shinawatra] is a Thai businessman and former politician who was prime minister from 2001 to 2006. He’s lived in self-imposed exile since leaving office, when his party was overthrown by a military coup. He’s also a fugitive, having been sentenced to two years in jail for abuse of power. Ubolratana’s brother, King Vajiralongkorn, does not support her bid for prime minister, calling it “inappropriate” in a televised address. “Involvement of a high-ranking member of the royal family in politics, in whatever way, is an act that conflicts with the country’s traditions, customs, and culture, and therefore is considered extremely inappropriate,” he said. [Ubolratana’s Instagram account was silent immediately after the king’s statement]. [The public opposition from King Vajiralongkorn is likely to lead to the Election Commission disqualifying her or the princess dropping out of the race]. The surprise nomination sent shock waves through the country’s political landscape as a crowded field of candidates prepared to run for the same post. Gen. Prayuth Chan-ocha, who’s ruled Thailand since a 2014 coup, also announced he would run. [King Vajiralongkorn also cited a provision in the constitution that states the monarch stays above politics and maintains political neutrality. Thailand’s lese majeste law makes it a crime to criticize the royal family, which could make it difficult for opponents to campaign against Ubolratana. Ubolratana was born in Lausanne, Switzerland, while her father was attending college there. She and her father won a gold medal in sailing in the 1967 Southeast Asian Games. She has three children, one of whom died in the 2004 tsunami that killed more than 225,000 people in southern Asia. b) Who is the king of Thailand? How long has he been king? For how long had his father been king? c) Why does the king oppose his sister’s candidacy? d) What could make it difficult for opponents to campaign against Ubolratana, should she actually be able to run? The monarch is central to Thai society. King Vajiralongkorn’s father, King Bhumibol Adulyadej (who died in 2016 after 70 years on the throne) was widely loved and often treated as a virtual god. The military took power on May 22, 2014 after months of anti-government protests, saying it would return stability.